Trek Travel, an active vacation company specializing in cycling vacations, has teamed up with luxury river cruise company, Scenic , to offer two new bike and river cruise trips in 2017. 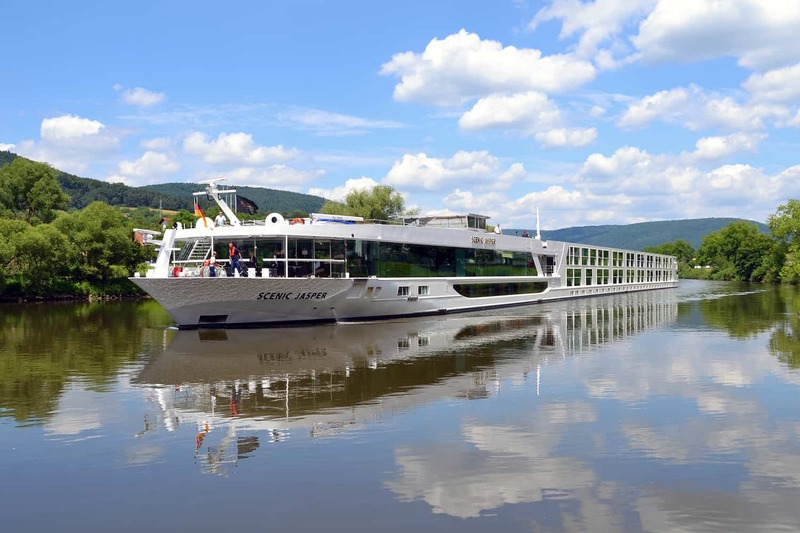 New itineraries feature a bicycling and river cruise on the Danube with stops in Nuremberg, Germany and Budapest, Hungary and a bike and cruise itinerary from Basel, Switzerland to Amsterdam, Netherlands on the Rhine River. Guests on a Trek Travel River Cruise can enjoy an all-inclusive experience that features spectacular on board amenities as well as personal butler service, laundry concierge, unlimited beverages and in-suite mini bar, sun deck with vitality pool, 24-hour room service, deluxe cruise accommodation in Diamond Deck staterooms featuring balcony suites, plus the use of a Trek Domaine 5.9 carbon road bike or Trek FX Hybrid, daily route support, certified Trek Travel bicycling guides and additional shore excursions provided by Scenic and Trek Travel in every port. 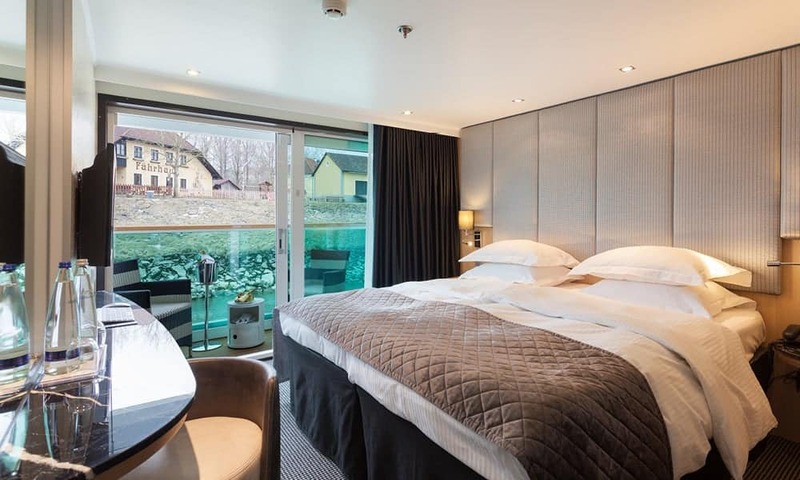 Discover the Danube on this seven-night luxury cruise that meanders through enchanting landscapes around the shores of this mighty, historic river. Beginning in Nuremberg or Budapest, daily rides meander through the timbered hamlets of Furth and Erlangen, sampling local beers from the area which boats the highest density of breweries in the world, cycling through the vineyards of the Wachau Region, discovering Vienna’s most loved cycling routes including the heavily forested range of hills known as the Vienna Woods, and to Budapest to explore the Buda hills, taking in the rich architecture on the historical west side. 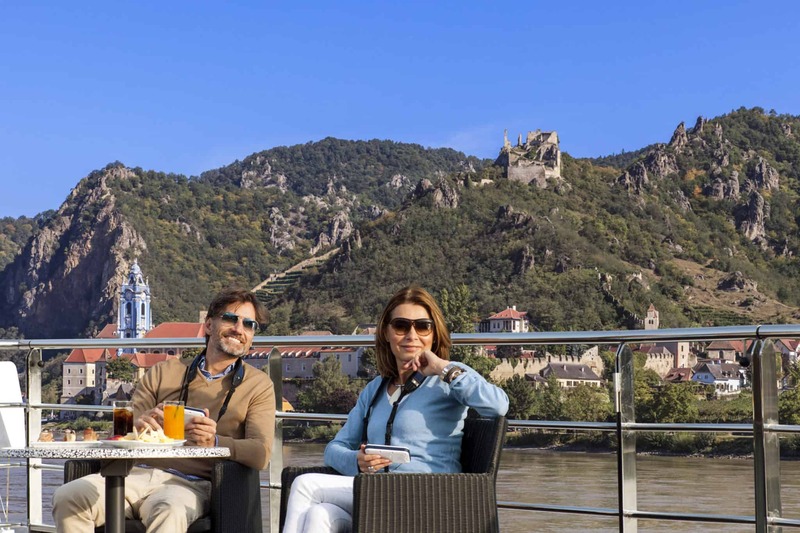 Other optional tours offered by Scenic, which Trek Travel guests can enjoy, include a walking tour o f Cesky Krumlov or Salzburg, a Budapest city tour or thermal baths and spa experience and a Scenic-exclusive concert in the Liechtenstein Palace. Priced from $6,499 per person, this all-inclusive eight-day, seven-night trip is offered May 10 – 17, May 22 – 29, May 31 – June 7, June 26 – July 3, and July 26 – August 3, 2017. Daily rides between 15 and 60 miles a day with up to 2,600 feet of climbing. Guests will cruise on the Scenic Amber or Jade. The epicurean and cultural delights of the Rhine River on this 7-night adventure which begins in Basel, Switzerland and ends in Amsterdam, Netherlands. Visiting four countries, this trip stops at the major cities of Strasbourg, France, Koblenz and Cologne, Germany and Amsterdam, Netherlands. Highlights for bicyclists include cycling the Alsace wine route tasting Rieslings and Pinot Gris along the way, pedaling the beautiful Rhine Gorge with its castle and vineyard dotted landscape, discovering the bike trails of Cologne and a cheese tasting tour through Amsterdam’s countryside. Other optional tours offered by Scenic, which Trek Travel guests can enjoy, include a Scenic-exclusive private tour and classical concert at the Baroque period Mannheim Palace, a “Sweet Tastes” tour of Heidelberg and a trip to the fairy tale town of Cochem. Priced from $6,599 per person, based on double occupancy, the eight-day, seven-night trip is offered June 12 – 19 and August 16 – 23, 2017. Daily rides from 20 to 50 miles with up to 3000 feet of climbing. Guests will cruise on the Scenic Jewel or Opal.